Kolakham, a paradise for bird lovers and adventure seeking tourists, located an altitude of 1868M in the Kalimpong Hills of Darjeeling District, on the fringe of Neora Valley National Park, just 108 KM from Siliguri via Kalimpong amidst the clouds, surroundings and facing the Majestic Mount Kanchenjunga, the world's third highest peak, can be seen atop the lush green valleys. One can enjoy the beautiful range of snow peaks, the never ending green forest and variety of birds from this place. Enthusiasts can go for a walk on the jungle trail. The chance of coming across wildlife is quite high here. A trek of 5 KM will take to the beautiful Changey falls. It is only 8KM away from Lava & a village of 60 Nepali families belonging to the ‘Rai’ community. The National Park with its dense forests is located on the tri-junction of Bhutan, Sikkim and West-Bengal. It extends from 30 m of altitude up to 3200 m on an area of only 88 square km. Though this sounds rather small, it has to be considered that due to the topographical features the surface of the Park is much larger. Neora Valley offers a unique eco-system consisting of tropical, sub-tropical, sub-temperate, and temperate vegetative systems. Rhododendron, sal, oak, bamboo, ferns etc. form the forest and a variety of orchids is found within. The National Park is home to many endangered species like the red panda, the musk deer, and the clouded leopard. From Kolakham the lush valley and the rolling hills stretch north as far as the eyescan see. In the west, they end at the foot of the Kanchenjunga. In clear weather, the snowy peaks of Kabru, Kabrudome, Kanchenjunga and Pandim stand out against the streched sky. Enthusiasts can go for a walk on the jungle trail. The chance of coming across wildlife is quite high here. A trek of 5 KM will take to the beautiful Changey falls. Cardamom is a major crop and guests can observe the processing of the fresh fruit into the roasted spice. Some villagers still know the techniques of weaving maize and paddy straw into sitting mats. Only 8 kms away from Lava Kolakham is a village of 60 Nepali families belonging to the ‘Rai’ community. They are vegan and far removed from brouhaha of bustling tourist towns of Lava and Lolegaon. Electricity is yet to reach the village and therefore the hustly bustly advanced nature killer culture is being kept away from this beautiful nature. In Kolakham (6,100 feet), during the day, the men farm (the primary crop is cardamom) or breed live-stock while children play in courtyards full of marigold, dahlia, chrysanthemum and zinnia. The lush valley and the rolling hills stretch north as far as your eye can see. In the west, they end at the foot of the Kanchenjunga. In clear weather, the snowy peaks of Kabru, Kabrudome, Kanchenjunga and Pandim stand out against the streched sky.Enthusiasts can go for a walk on the jungle trail. The chance of coming across wildlife is quite high here. A trek of 5 kms will take you to the beautiful Chhenge falls. How to Reach: Take a train to New Jalpaiguri station and then hire a car to Kolakham. It is almost 5 hrs journey from New Jalpaiguri. One can also fly to Bagdogra and then take a car to Kolakham via Kalimpong or Dam Dim. Spring Vale Resort's Kolakham Retreat is an ideal place to take a halt at during your tour to Kolakham. Now a days people have to work day and night in order to achieve success in this rat-race for survival under such circumstances everybody wishes to get away from the hustle and bustle of city life and spend some time in a serene and peaceful atmosphere. Spring Vale Resorts provides purposeful travel to the spots in the lap of Mother Nature to understand the cultural and natural history of the environment without concealing actual threats. The Resort people are determined to prove tourists across the world that the Himalayas are no less Picturesque than the Swiss Alps. KOLAKHAM RETREAT: THE MOST ELEGANT RESORTS IN KOLAKHAM AT THE BEST LOCATION AMIDST THE NEORA VALLEY NATION PARK AND LUSH GREEN VALLEY AT THE FOOT OF THE MT. KANCHENJUNGA, MT. KABRU, KABRUDOME, KANCHENJUNGHA AND PANDIM STAND OUT AGAINST THE STRECHED SKY. All rooms are wooden furnished with Attached Western toilet, Floor Carpet, CTV, Room Heater & Geyser (In 03 Rooms), Garden / Lawn, Restaurant / Kitchen, Room Service, Hot Water supply, Travel Desk, Car Parking & Camp Fire(Optional). Special attraction: 180° View Of Mt. Kanchenjunga & Himalayan Range From All the Rooms. Location: Amidst Neora Valley National Park and at the best hill top of Kolakham. FACILITIES: All rooms are wooden furnished with Attached Western Toilet, Floor Carpet, Room Heater & Geyser (In 03 Rooms), Garden / Lawn, Restaurant / Kitchen, Room Service, Hot Water supply, Travel Desk, Car Parking & Camp Fire (Optional). Special Attraction: 180° View Of Mt. Kanchenjungha & Himalayan Range from all the rooms. Special Facility: Pick up and drop from Siliguri/NJP/Bagdogra. Complete exclusive package booking for individual & Group including foodging, lodging transportation & sight seeing. Check In Time : 12:00 Noon. Where to Dine: The in-house restaurant of KOLAKHAM RETREAT serves you with fresh, hot and delicious Indian, Chinese, Continental and pure Bengali food. Silent Valley Resort is located at a ridge end at the beautiful village of Kolakham. All rooms are wooden finish (pinewood) with attached Western and one Indian toilet with geyser. Lawn, Kitchen, Dining Space and Room Service are available. 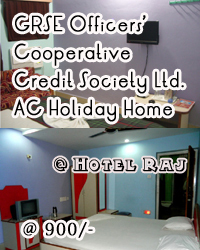 Check in time 12:00 noon, check out time 11:00 a.m.
Four Bed Room (2)- Rs 2000 + 10% Service Charge.